This is designated a restricted use property. Please contact the GBLT for visiting details. The Dattels Reserve is a portion of an island located along Hemlock Channel adjacent to the Shawanaga Island Conservation Reserve. The property is a combination of rock barren and open forest with two extensive coastal wetlands. 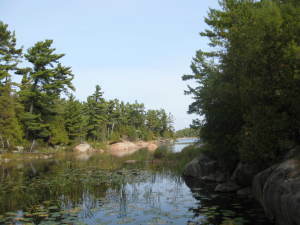 This combination of communities provides ideal habitat for many of eastern Georgian Bay’s reptile species at risk, especially when combined with the adjacent conservation reserve.